Things get pretty crazy when you throw superheroes onto a spaceship. When you bring together a rag-tag team of superheroes and send them traveling through time, you’re bound to get tons of eyebrow-raising WTF moments. We’ve consistently gotten as much from DC’s Legends of Tomorrow in The CW’s Arrowverse’s Arrowverse, and Season 3’s first stretch has been no different. The team’s gone through a series of changes over the nine episodes we’ve gotten so far, including the loss of two team members and the addition of one newbie that’s sort of an old friend. We’ve also seen more than one Legend during alternate time periods, which always makes for interesting time travel drama. When Season 3 started, the Legends were disbanded by Rip Hunter after they royally messed up time in a way that left dinosaurs roaming through modern-day Los Angeles. 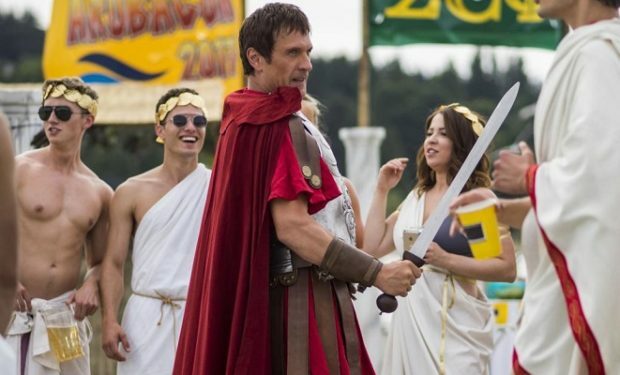 In the season premiere, we get to see the Julius Caesar on the beaches of Los Angeles roam into a frat party full of drunken bros in togas. He tries to recruit them and they’re hilariously into it. Ray's technology accidentally enlarges a tiger that's supposed to be extinct. On a show in which a lot of weird timey-wimey things happen, a time-displaced ancient cat getting unnaturally enlarged and getting captured by P.T. Barnum for use in a circus is just so many things at once. In an episode that tries its hardest to resemble E.T., we get a weird misadventure in which the Dominators — the threatening alien race from last year’s crossover — cause problems in Ray’s past. But Yung Ray adopts a baby Dominator in 1988 that’s just all sorts of weird. Time Travel 101 strictly prohibits exactly this. Probably the first rule of time travel is that you should never interact with your former self. It could drastically change almost everything about you. But in a show that almost never sticks to its time travel guidelines, bending the rules for sentimental moments like the time Ray Palmer talked to his younger self about bullies kind of works. In “Helen Hunt,” Ray tests a way to transfer Firestorm ownership to Jax, but the process accidentally causes them to swap bodies. They obviously figure out how to switch back, but seeing the Freaky Friday shenanigans unfold is delightfully weird. Firestorm died with Martin Stein. 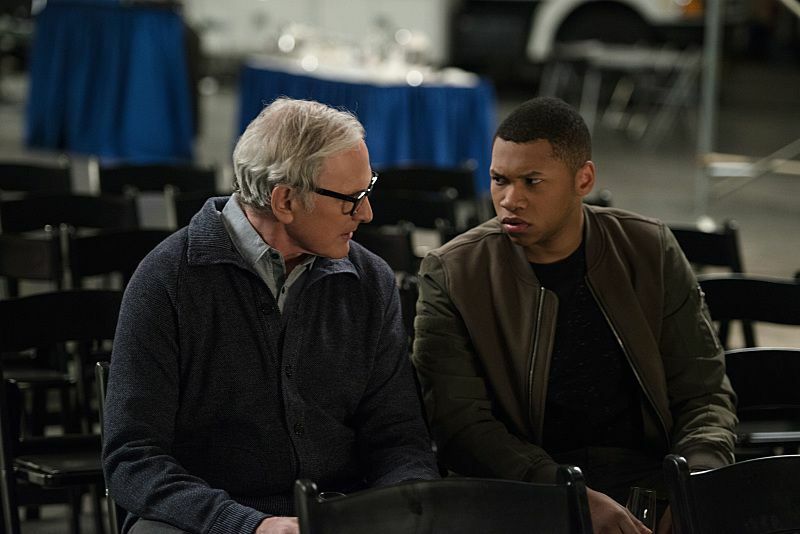 This one wasn’t altogether that surprising considering the fact that the actor Victor Garber was looking for the exit door for awhile, but his death during the “Crisis on Earth-X” crossover was still a shock. Stein had expressed interest in retiring to be with his family, but instead he succumbed from a couple gunshot wounds he got on the Nazi Earth-X. Who wouldn't want to talk to a puppet version of their recently deceased friend? Leo Snart as a doppelganger from Earth-X is a welcome addition to the Legends, if only to see actor Wentworth Miller return to the show. He’s quirky, with a notably different temperament compared to his Earth-1 counterpart. 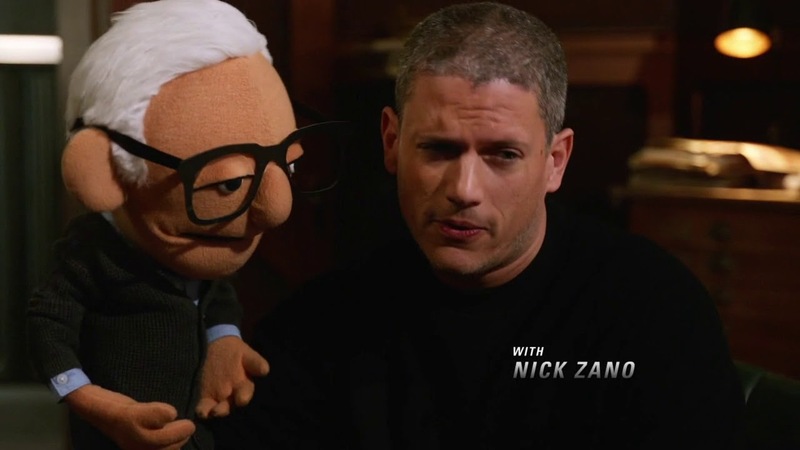 It’s incredibly weird when the first thing he does after “Crisis on Earth-X” is to “talk” to the Legends about Stein’s death using an incredibly accurate puppet of Stein. Beebo is the ruler of the Old World, but what happens when he runs out of batteries? In “Beebo the God of War” — the mid-season finale — a younger Martin Stein is ripped through time to roughly 1000 A.D. while he’s out shopping for the hottest Christmas toy in the ‘90s for his daughter. “Beebo” is basically a cross between Sully from Monsters Inc. and a Furbie. Leif Erikson, his sister, and their fellow Vikings come to worship the thing, and every time it says, “Beebo hungry!” they kill somebody. Legends of Tomorrow returns to The CW on February 12 at 9 p.m. Eastern.